We will be open this Sunday from 12 -6 p.m. Come by and visit Bambi the lamb and our newest addition, Darcy, the Dexter calf. Darcy was born earlier this week so, it wasn’t on St. Patrick’s Day but she still gets an Irish name. Darcy means dark or dark-haired and the name will fit her perfectly. She will likely keep her color as her mother is dark brown as well. 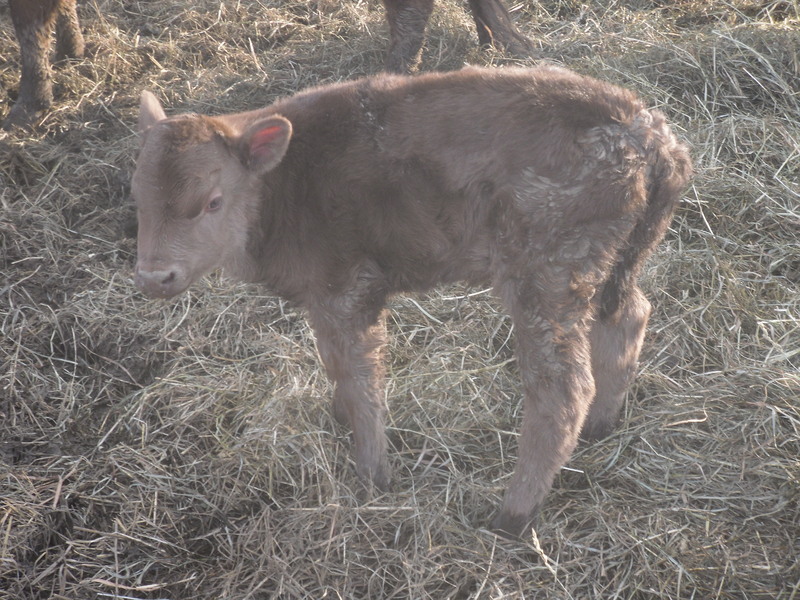 Darcy’s luck is that she is a heifer calf and therefore gets a pretty name, instead of a “food” name the males generally get. Speaking of St. Patrick’s Day, you should join Farmer Betsy and Farmer Paul for Sunday brunch at The Loft Restaurant at Traders Point Creamery. Farmer Paul will be having the lamb stew served with our own Full Circle Farm lamb. Farmer Betsy is leaning toward Eggs O’ Kunz. You had better come early though. We eat right at 9:30 a.m. While we are on the topic of what to eat, it is time to start planning your Easter dinner. We have leg of lamb available for $15.00/lb. These legs weigh around two pounds and have been de-boned and rolled. We have two turkeys available for $4.00/lb. These turkeys are 8.65 lbs and 8.90 lbs. We also still have plenty of whole chickens available for $4.00/lb. Stop in and let us help you plan your Easter dinner.